Cancer is an incredibly taxing experience for both the mind and the body. So when word breaks about a new cutting-edge treatment, people take notice — us included. The latest: CyberKnife, a non-invasive, painless radiosurgery for treating cancer that can be used on its own or in conjunction with other treatments. It targets both cancerous and non-cancerous tumors anywhere in the body, including surgically complex tumors, and it’s also being used to improve the chances the cancer won’t return. And Philly docs are performing it. Such is the case with most innovative medical procedures, they can be tricky to unpack at first glance. But not so with CyberKnife. Available at Philadelphia CyberKnife in Havertown, the treatment is relatively straightforward. 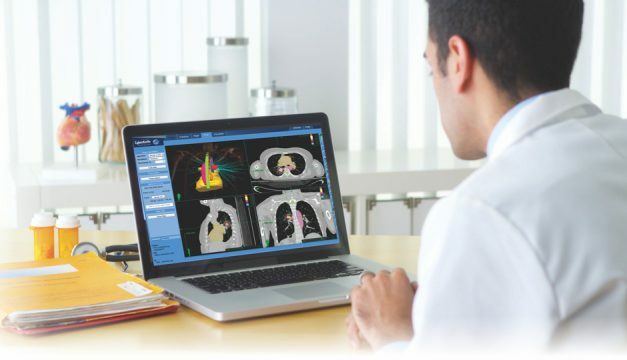 Using a highly targeted and specialized form of radiation, a clinical expert uses computer-driven, robotically guided radiation to direct the beams precisely to the tumor being treated. Meanwhile, the patient simply lies on the treatment table while the administered therapy kills tumor cells without compromising the surrounding tissue. When it’s all said and done, most treatment sessions last 30 to 90 minutes. And because there are minimal to no side effects and no recovery time, patients can quickly resume normal activity. Perhaps CyberKnife’s applicability and functionality are its most groundbreaking qualities. It can be used to treat cancers of the brain, lung, pancreas, prostate, spine, kidney and liver, including a variety in size, occurrence and severity. It’s also been successful in treating metastatic (spreading) cancer and if cancer comes back. And it’s not just us recognizing the treatment’s innovation. Philadelphia CyberKnife recently presented three clinical outcomes research projects at the American College of Radiation Oncology’s 25th annual meeting, aiding and educating fellow clinicians about the overall application of the technology. They’re also currently in the throes of a clinical trial. In this video interview with Sportsradio 94WIP, Dr. Lanciano discusses the importance of outcomes research and the advancement of CyberKnife. An exciting, noninvasive cancer treatment has emerged that allows physicians to better aid their patients and spare patients from typical treatment discomfort. Take note: it might just be a game-changer. For more information on Philadelphia CyberKnife® to see if it’s right for you, click here. This is not intended as a substitute for medical advice from your professional healthcare provider. Contact your professional healthcare provider to find out if CyberKnife® is right for you.